We explore new ways of experiencing and sharing God's love in Christ. These foundation principles were fundamental to the shaping of the HCUC at its inception. Flexibilty : Ability to change with the times, needs and the Spirit. Forward Looking : Moving away from old models and freedom to look for new ways. Federal : An umbrella for congregations’ members and a balanced division between local and joint independence and maintaining interdependence with wider church bodies. Mutuality : A place of safety and care for both weak and strong expressed in an equality of representation on Council where each part has its place within the concept of the whole. Mission Based : Ongoing questions of how the structure helps the mission expressed in mission statements and bi-cultural statements in relationship to the communities each congregation lives in. New Vision for Ministry : Recognition of both lay and ordained ministry within a team which is adaptable according to the needs presented for ministry, and taking accountability for such. Freeing up Resources : Amalgamation of resources such as property and people setting a context where people have enlarged choices for ministry, training and education to meet the identified needs. Equipment to be shared and a centralization of secretarial services. 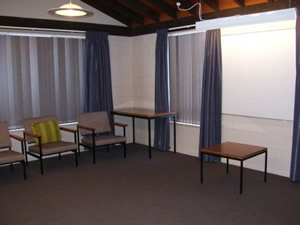 HCUC was formed in December 1995 from the Methodist Parish and three Presbyterian Parishes in the Lower Hutt Valley, and one year later the Wainuiomata Union Parish also joined. A number of the congregations were neighbours, and had developed relationships with each other over many years. Diversity in the HCUC begins with the traditions of the denominations that we integrate into our identity as a parish. There are three main ethnic groups that come together in the parish being European, Samoan and Tongan. The theology of any one church group in the HCUC ranges from reasonably conservative to contemporary liberal views enabling a broad and informed grasp of contemporary issues. 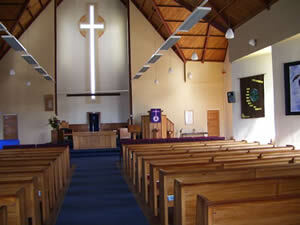 Through careful stewardship and a process of combining congregations and selling plant such as churches surplus to requirement, the HCUC have brought together a centralized management of resources so that all seven churches are served by an ordained ministry team, an effective group of lay worship leaders and pastoral carers, and some parish-wide programmes and events. Governance of the HCUC begins in the Parish Council where representatives of each church location and Presbyters gather to make decisions that affect policy and functioning of the parish. Specialist sub-groups stem from Parish Council to handle matters like ministry, visioning, personnel matters, finance, and property. Major external influences on the life of the HCUC stem from the denominational and cultural church courts to whom we subscribe. 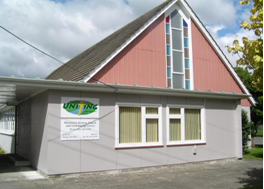 Hutt City Uniting Congregations are a confederation of churches within Lower Hutt City who minister to a multi-cultural community out of the traditions of the Presbyterian and Methodist churches. We also have many retired Presbyters who are still actively involved in the life and ministry of the HCUC Parish, together with the large amount of Lay Preachers who readily assist when and where possible. 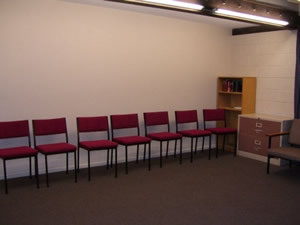 Started in 1990, mainly music is a fun music group for parents or care givers to enjoy together with their young child. Throughout the morning, children develop gross and fine motor skills, language, imagination, maths and pre-reading skills as well as socialise with others. Each mainly music is associated with and is run by volunteers from a local church. Children are introduced to music, creativity and more, plus families given a chance to think about the God-part of life. Amazing to think that all this can be achieved in a loving, shared family environment. St Aidan’s on the Hill everyThursday from 9:30 to 10:00am followed by morning tea and play until 11:00am. The church is open from 9:00am. See here for a map. 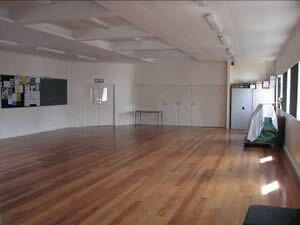 Stokes Valley Uniting Church every Tuesday during school term – cost $3per child and $5 for 2 or 3 kids per family. See here for a map. What happens at mainly music? food! 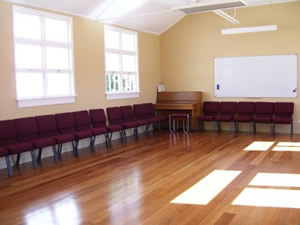 a mainly music session is followed by morning tea and play … or if you’re an adult – morning tea and connection with other adults. This is the chance you can have to recharge your batteries while your child plays. Do I need to take anything to a mainly music session? Do I need to put myself on a roster because I am attending the sessions? no, the mainly music group has a network of volunteers from the local church where they are based. 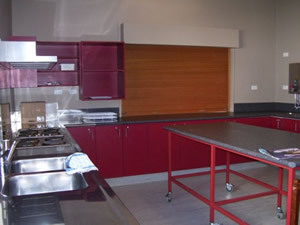 If you want to help in the kitchen, then we are sure the local group will be pleased to have your help! What age should I start my child at mainly music? Do you sing songs of a religious nature? Can I start mid-term or mid-semester? How much does it cost to attend mainly music? the cost varies and is set by the local group. In most groups, you do not pay a ‘term’ fee so if you miss a week, you’re not wasting money that you have prepaid. The aim of a mainly music group is to be as relaxed as possible so you come to enjoy and if you miss a session due to other commitments or sickness, you’re not worrying about prepaid money. Some groups offer a 10session fee – but if you miss a week – the money gets transferred over to the block of 10sessions – some mums find it easier to pay for 10sessions once instead of trying to find change in their wallet!!! My child has food allergies – what do I do? Videos and cameras at the session – are these allowed? within reason! We know everyone loves to get those special shots of their child enjoying mainly music. If you have a video camera, please note that music is copyright and therefore filming more than a small portion of a song or rhyme could constitute a breach of copyright. If you are using a video camera or still camera, please make sure you concentrate on your child. And in both cases, please check with the session leader before you start [if the session has started, you’ll need to wait until the next week]. Thanks for helping us in this situation. 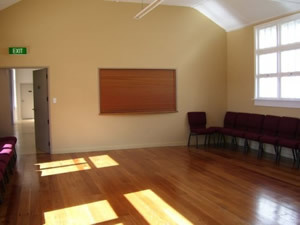 For details of availability and rental rates for St Marks Wesley, St Stephens Union or Stokes Valley Uniting please contact the HCUC central office on ph 04 569 6017 or email us on admin@hcuc.co.nz. 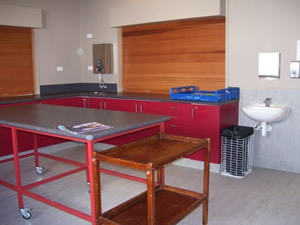 For enquiries about the Waiwhetu Uniting facilities please contact the bookings officer Trevor Dine via email on trevor.dine@slingshot.co.nz or phone 04 566 3646. 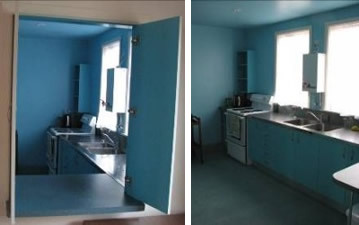 The Church buildings at 106 Main Road have been extended to provide a new entrance and toilet as well as a new kitchen, meeting room and office. 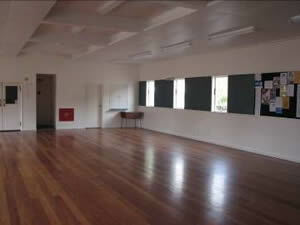 It has a 70 seat chapel area that is able to be separated from the hall and kitchen area. 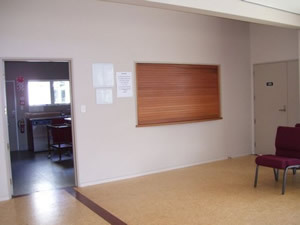 A memories board commemorates past members, ministers and presbyters who have given service and commitment to both St Stephen’s and the former St Peter’s (the congregations of the former Wainuiomata Union Parish). 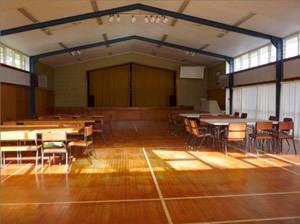 The buildings are used by a number of community groups and a fellowship from the Congregational Church of Jesus Christ in Samoa and Abroad on a timetabled basis together with Choir Concerts and other community activities (including elections) when available. From the beginning the Hutt City Uniting Congregations has sought to work out the mission of the Gospel in new ways. In seeking new models HCUC has not always fitted into what the national Churches have required. Indeed it has been said that much of what has been done is unique in New Zealand. From the beginning the Hutt City Uniting Congregations has sought to work out the mission of the Gospel in new ways. In seeking new models HCUC has not always fitted into what the national Churches have required. Indeed it has been said that much of what has been done is unique in New Zealand. One aspect that has shaped the HCUC has been the multicultural learning we gain from the mix of Tongan, Samoan and European, as well as other groups within the Parish. HCUC does not just share buildings but truly share the life of Christ together. The Presbyterian Maori Synod Church, Te Kakano O Te Aroha, being an Associate of the HCUC, has enriched the commitment to the bicultural journey. In finding new ways the Parish has not always got it right but the people of the HCUC have journeyed together seeing God at work in their midst. In the early ’90s St Columba, Naenae, urged Presbytery to look at the ministry and mission of the Churches in the Hutt Valley as a whole. A Commission was set up in 1993 with representatives of all the Presbyterian Parishes of the Valley and observers from the Methodist and Anglican Churches. A report was submitted to Presbytery, which set out goals for a greater working together. A Co-ordinating Group, known as COG, met throughout the following year. Alongside this Waiwhetu Methodist and St Luke’s Presbyterian began talks as to how they might work closer together. 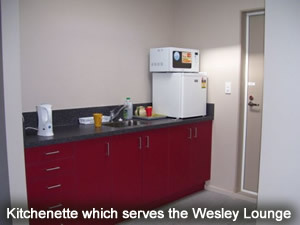 This led the Lower Hutt – Petone Methodist Parish to meet with Rev. Norman Brookes, Superintendent of the Development Division to discuss the mission and future of Methodism in the Valley. From these talks a model was developed whereby Parishes could come together under the umbrella of a new venture. The model gave a degree of independence to congregations while giving the opportunity of sharing resources and ministry. This was well received by a meeting with the Presbyterian Parishes in early 1995 and was then shared with relevant congregations over coming months. After formal votes were taken, a group met to develop the idea into a practicable model for working together. There was much discussion over whether the new venture should be described as a “Parish” as this could lock into old models but since the wider Church only recognised “Parishes” it was agreed, somewhat reluctantly, to use this term. On Sunday the 10th December 1995 a celebration was held at St Oran’s where the United States Ambassador, His Excellency Josiah Beeman, gave the address. At this service nine congregations joined together lighting candles and signing the covenant. At the beginning of the following year Parish Counsellors were appointed and Neville Price was elected the first Chairperson for the Hutt City Uniting Congregations. On February 27th 1997 Wainuiomata Union Parish was incorporated into the HCUC by the lighting of a candle and signing the Covenant. Many Parish worship and social gatherings have been held. At a Parish Service in August 1997 we were privileged to have the Governor General Sir Michael Hardie-Boyes to bring the address. The annual Mid-winter Meal has been a highlight of the year with good food and entertainment always drawing large numbers. As well as the many happy celebrations there has been sadness as members have died or moved away, and as Presbyters who have become close were farewelled. In the life of the Parish some congregations have agreed to unite. This has necessitated the sale of some Church properties. A Church is not just a building but also a repository of memories and a place to touch the Divine. Many have been saddened to leave the buildings that have been so important in their lives and that of their family. During the life of the HCUC over twenty Presbyters have given leadership and countless lay people have given unstintingly of their time and energy. In 2002 Craig Forbes was asked to prepare a report revising the structure of the HCUC. The result was the Parish Council being supported by the Parish Management Group, Personnel Committee and Parish Advisory Group. As the HCUC was formed it was said many times “we are on a journey”. Things change as we travel. The Parish today is not the venture that was set up 12 years ago. And it is still on a journey. Over these years structural and building decisions have dominated life as a Parish. 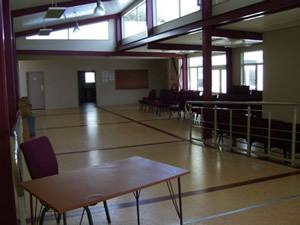 It is important that this maintenance of what has been built now supports a vision for mission in the Hutt. The Mission Statement of 12 years ago is as relevant today as it was then. The members of the Hutt City Uniting Congregations, covenant to nurture the spiritual in ourselves and other people and explore new ways of experiencing and sharing God’s love in Christ.